Like many riders, the Wolf Tooth Components team has recently rediscovered the joys of unencumbered riding, lowering our center of gravity and increasing our freedom of movement by moving gear from our backs to our bikes. 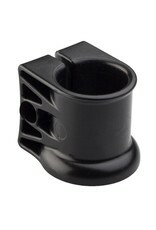 While the classic seat pack is a great place to store little-used essentials out of the elements, their mounting systems can interfere with and often damage modern dropper seatposts. In order to allow saddle bag mounting on dropper posts, the Wolf Tooth Valais 25 mounts to the seatpost upper, providing a secure mounting point while protecting the stanchion from wear and the wiper seal from damage. 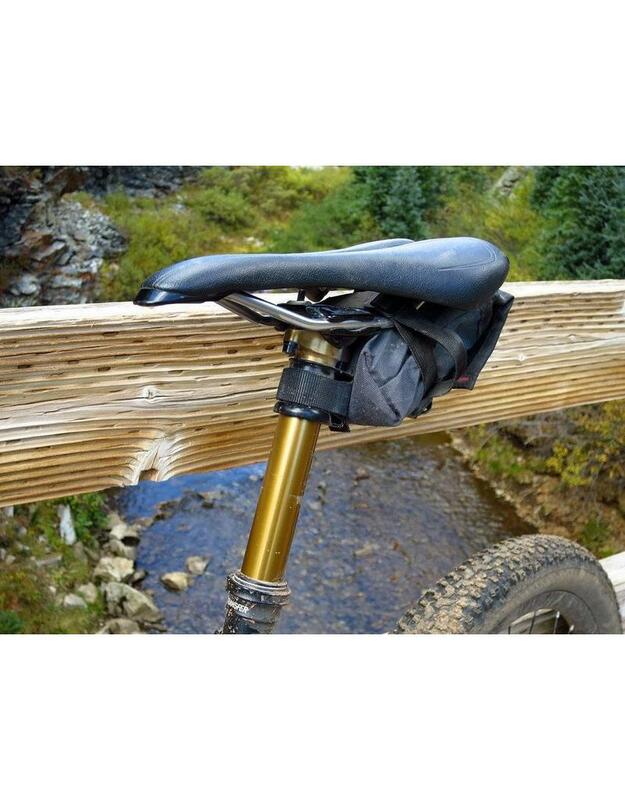 Injection molded from an engineering-grade thermoplastic, the Valais 25 can also serve as a temporary crutch in the event of a backcountry dropper failure. The dual-lip design securely holds packs with straps up to 25mm wide and at full compression the deep skirt contacts the seal collar first, protecting delicate seals from damage. Shifts cargo to the bike: Small- and mid-sized saddle packs are ideal places to securely store tubes, mini tools, and CO2 cartridges, ensuring that they’re always on hand when needed while freeing up the top tube and handlebar bags for more regularly-accessed items. 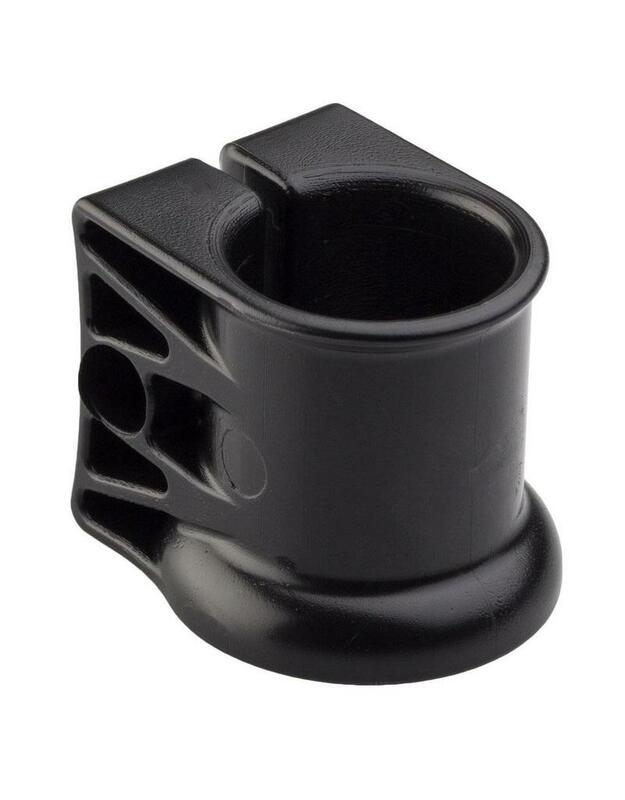 Protects seatpost: Inexpensive insurance, the Valais 25 protects dropper post stanchions from the wear that occurs at the intersection of saddle bag, seatpost, and wheel-flung grit. Emergency Crutch: While dropper posts continue to improve, locking mechanism failure still occurs- often far from the trailhead. The Valais 25 can be used to keep posts extended, allowing the rider to comfortably pedal out of the backcountry. Raceday Travel Limiter: When seven inches is more than terrain calls for, the Valais 25 can be used to limit dropper travel to suit. Material - the Valais is injection molded from strong, resilient, and non-marring DuPont Delrin thermoplastic, allowing for easy snap-on installation and full strength all the way down to -20°F/-29°C. Valais limits the dropper travel by at least 25mm. There are 2 models as noted in the compatibility section, one for the 25mm diameter stanchions and one for the 26mm stanchions. At full compression, the Valais' deep skirt contacts the seal collar first and will not contact the seal lip (protecting delicate seals from damage). 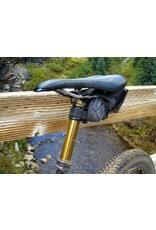 Install your saddle bag with it as full as it will be on the trail. Let all the air out of your frame shock, drop the post, and compress the bike suspension all the way. Assure there is adequate tire to saddle bag clearance. If there is not tire clearance, raise the dropper, and lower the Valais until there is adequate tire to saddle bag clearance.